Norwich City's reserve team manager Ian Crook has left Norwich City by mutual consent to return to Australia. The 47-year-old said he wanted to leave so that he could spend more time with his wife and family. 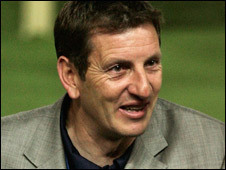 Crook, who made 418 appearances for Norwich, had spent the past 16 months on the coaching staff. He played for the Carrow Road outfit as a midfielder for 11 years after being signed from Tottenham by Ken Brown during the mid-1980s.